An important debate is taking place in Parliament this Thursday, 7 February, in which MPs will be discussing the issues affecting beer and pubs and their valuable contribution to our society, economy and culture. MPs must stand up for the diminishing number of places in their constituencies where ordinary people can enter free of charge, meet their friends or make new ones, celebrate special events, watch sport, play darts, listen to music, have a meal prepared on the premises, or even just enjoy their own company – not forgetting, of course, savouring a pint of British real ale. A preferential rate of duty on beer sold in pubs. Full reform of business rates to fix the unfair amount that pubs pay. Reforming the Pubs Code so that tenants get a fair deal. Let's hope enough MPs have got the message! Tax freezes on alcohol that CAMRA has been vigorously calling for came into effect last week on 1 February. Duty on beer, cider and spirits was frozen in the 2018 Autumn Budget. Duty on wine was left to rise with inflation and a higher rate was imposed upon 'white ciders'. 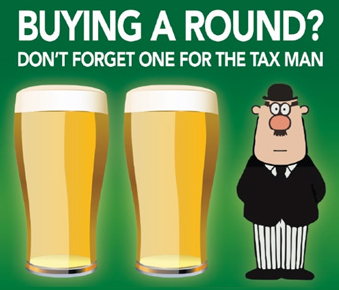 The Treasury claims that a standard pint of beer is now 14p cheaper than if taxes had risen in line with inflation. It's a welcome measure, not only because it helps protect the great British pub and pint, but also because it has saved at least 3,000 jobs that would have been lost if duty had gone up, according to an estimate by the British Beer and Pub Association.